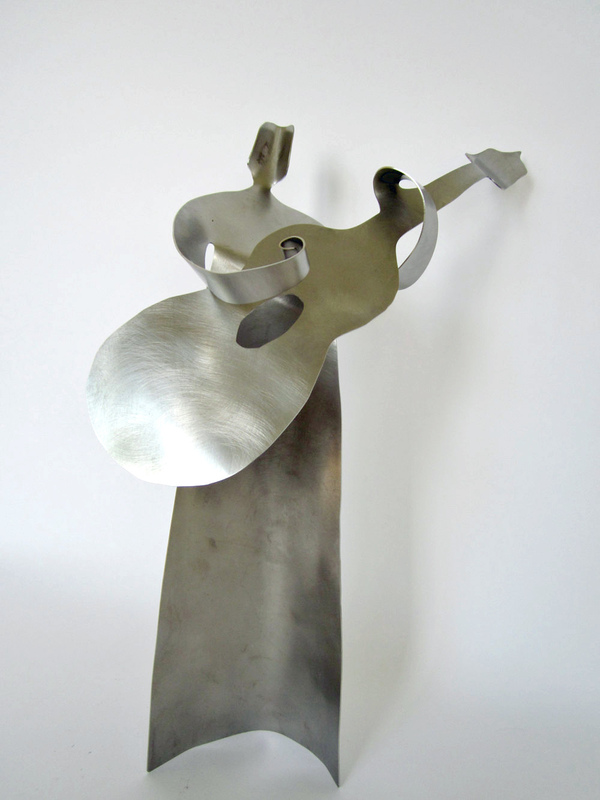 15" Stainless - self standing, this guitarist is the perfect gift! 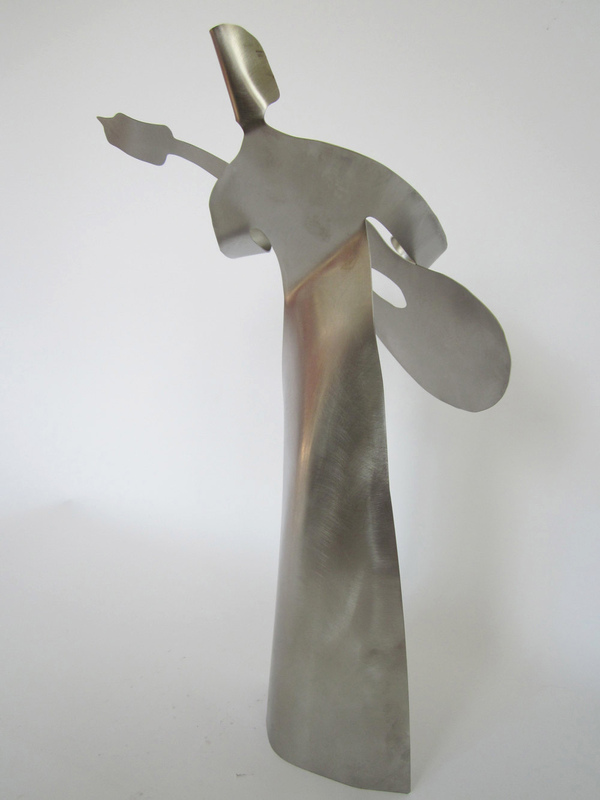 The Guitarist is the most popular of the musician gift series! This Guitarist tips his head forward to work a complex rif. 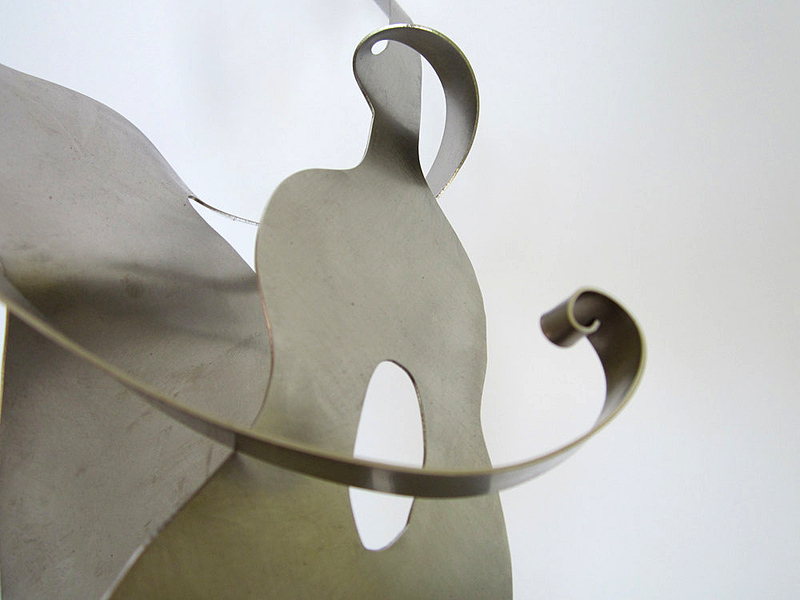 A wonderful choice for a small space! 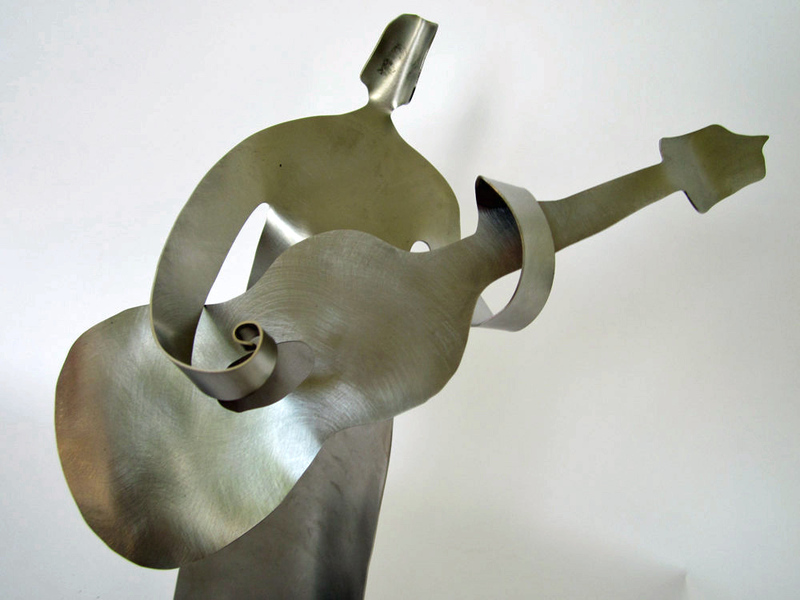 Created in stainless steel, it can adorn a dresser, bookshelf or accent a centerpiece or houseplant As all Chavenelle sculpture, your guitarist is bent from a flat sheet to 3D form. 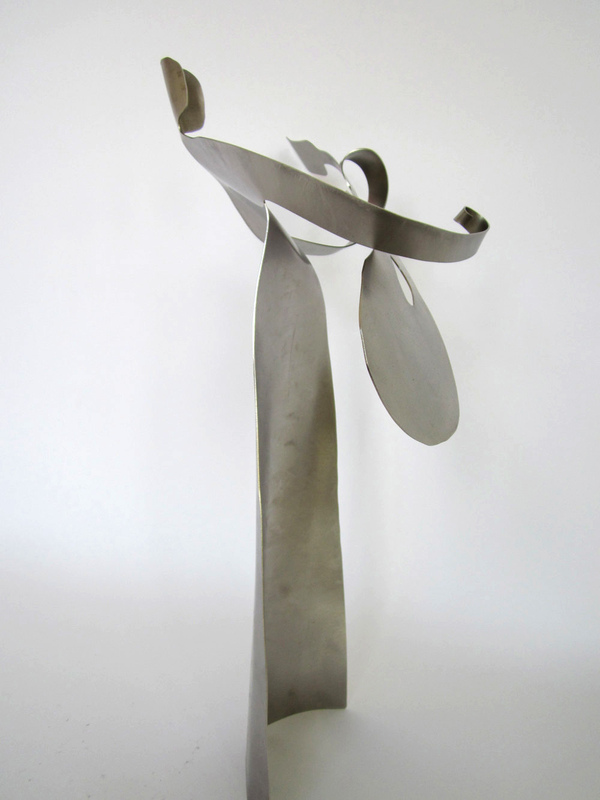 This Chavenelle sculpture is signed for authenticity.